1. Interdependence test focuses on the relationship between the individual steps of a series of transactions and analyzes whether the steps have independent significance or whether they have meaning only as part of the larger planned transaction. A judgment is made as to whether the steps are so interdependent that the legal ramifications of each intermediate transaction would be nil without the completion of the entire series of transactions. When it is apparent that any single step would not have been undertaken except in contemplation of the totality of the associated transactions, the step transaction doctrine will be applied. If the foregoing analysis does not establish that the first step would not have been taken without contemplation of the later ones, the steps are not integrated. 2. Under the frequently applied end result test, related but separate transactions are collapsed into a single transaction when the government is of the opinion that they are really related component parts of a single overarching transaction. The end result test is used when it is clear that a planned tax result is achieved via a series of related transactions that could not be achieved via a single transaction. However, where a business engages in a series of related transactions that appear to be designed and executed as part of a unitary plan to achieve an intended result, the plan may be viewed in the aggregate regardless of whether the effect of doing so increases or decreases the combined tax effect.The end result test focuses on intent and where the separate transactions are viewed as a single overarching scheme, they will be collapsed into a single transaction. On the other hand, where is required intent is deemed absent, the steps analyzed are treated as separate. Need help or have a tax avoidance question? Contact us! In D.M. Fender v US, CA-5,78-2 USTC 9617, 577 F2d 934, a sale of bonds to a bank where the taxpayers owned the controlling block of stock was disregarded as non bonafide because they did not in the government’s opinion suffer a genuine economic loss which is a requirement for a loss deduction. In T.F. Abbott, Jr. v Commr, 23 TCM 445, Dec. 26,696(M), TC Memo. 1964-65, aff’d, per curiam, CA-5,65-1 USTC 9331, 342 F2d 997; the Court of Appeals in the 5th circuit affirmed the Tax Court in holding that a major stockholder of a corporation, and not his related corporation, in reality realized a gain from the sale of stock. The major stockholder purportedly transferred stock to the corporation as a capital contribution and then his related corporation turned around and immediately sold the stock at a gain. The Tax Court justified setting aside the form of the transaction by holding that the stockholder in substance had sold stock as an individual using the corporation as a conduit and then contributed the proceeds to the corporation as a capital contribution. In P.J. Batastini v Commr, 53 TCM 1500,Dec. 44,086(M), TC Memo. 1987-378; Milbrew, Inc. v Commr, 42 TCM 1467, Dec. 38,363(M), TC Memo. 1981-80, aff’d, CA-7, 83-2 USTC 9467, 710 F2d 1302; F.C. LaGrange v Commr, 26 TC 191, Dec. 21,699 (1956) a series of sale-leaseback transactions were disallowed because the court believed the transactions were entered into solely to inflate the value of the assets used in a school bus business. In reality title to the asset of the business were never transferred to the buyers and the agreed upon purchase price greatly exceeded the true value of the underlying assets. These factors along with others led to the disallowance under the transaction lacked economic substance by the court. The acquisition was motivated by a nontax business purpose; and The method of the acquisition was motivated by a nontax business purpose. The business purpose requirement came out of case law surrounding government challenges to corporate reorganizations, but as presently applied is not limited to corporate reorgs today. The most common application of the business purpose test currently, is where a group of corporations can be denied affiliated group status and thus be prohibited from including a corporation on its consolidated return if a business purpose is lacking surrounding the acquisition of the target corporation. Corporate divisions are also closely scrutinized as tax free reorganizations under the business purpose test because they can easily be used in an attempt to convert dividend distributions into capital gain distributions. The genesis of the “economic substance doctrine” is a common law doctrine that disallowed the tax benefits associated with a transaction if the transaction was deemed to lack economic substance a business purpose which in 2010 was codified under IRC §7701(o)(5)(A). IRC §7701(o)(5) specifically states that the prior existing precedent stemming from federal case law on the subject of economic substance is still relevant to the determination of whether §7701 is relevant to a fact pattern and when the application of the doctrine is called for, but it expressly overrules any prior case law which only required one “prong” of the economic substance test to satisfy the doctrine. Prior case law that held that a meaningful change in economic position a substantial, non-tax business purpose satisfied the economic substance doctrine was expressly overruled with the enactment of §7701(o)(5). The current codification of the economic substance doctrine requires that both prongs be satisfied (i.e. 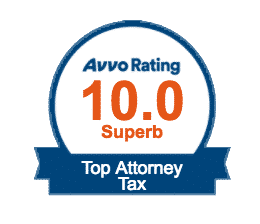 both a meaningful change and a non-tax purpose is required to satisfy §7701), and consequently any prior case law which only required one prong of the test be satisfied, has limited applicability for tax years subsequent to the enactment of §7701 in 2010. Transactions that are the same as or substantially similar to one of the types of transactions that the IRS has identified and labeled a “transaction of interest”. A transaction of interest is a transaction that is the same as or substantially similar to one of the types of transactions that the IRS has identified by notice, regulation, or other form of published guidance as a transaction of interest. It is a transaction that the IRS and Treasury Department believe has a potential for tax avoidance or evasion, but for which there is not enough information to determine if the transaction should be identified as a tax avoidance transaction. The requirement to disclose transactions of interest applies to transactions of interest entered into after November 1, 2006. For existing guidance, see Notice 2009-55, 2009-31 I.R.B. 170, available at http://www.irs.gov/pub/irs-irbs/irb09-31.pdf. The IRS may issue a new, or update the existing, notice, regulation, or other form of guidance that identifies a transaction as a transaction of interest. The Code provides for several civil penalty regimes that were implemented in an attempt to generate accurate reporting of transactions by taxpayers and practitioners. Under section 6662(a) a 20% penalty is imposed on any portion of an underpayment that is attributable to negligence surrounding the application of codified rules or regulations. It also applies to substantial understatements of income tax, or a substantial valuation overstatement. This penalty is increased to 40% where a gross valuation misstatement occurs and is calculated on 40% of the valuation understatement. The 40% penalty also applies to undisclosed transaction deemed to lack economic substance and to undisclosed foreign financial asset understatements. There is a penalty regime surrounding reportable transaction understatements that increase when the underreporting is coupled with non-disclosure and where fraud is deemed to have occurred. Exposure of Tax Practitioners to “aiding or assisting a false return” under IRC § 7206(2): The crime known as “aiding or assisting a false return” is codified in IRC § 7206(2), which essentially makes it a felony for someone to “willfully aid . . . assist, procure, counsel, or advise” someone in the preparation of a document (e.g. a tax document) that is “materially” false.